This new release is literally jaw-dropping. Givenchy‘s Artistic Director Claire Waight Keller is spoiling us with her take on the high-end sneaker trend. 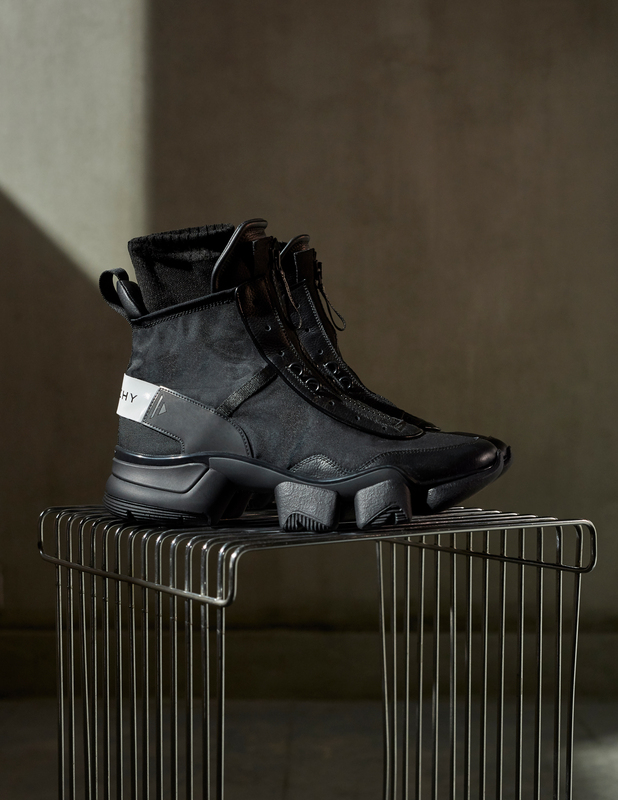 Inspired by the big demand for multi-functionality these days, the shoe and its telling name JAW combine elements from track shoes of the Sixties and the high-tech appeal of sneakers, which began in the nineties and can still be found until this day. 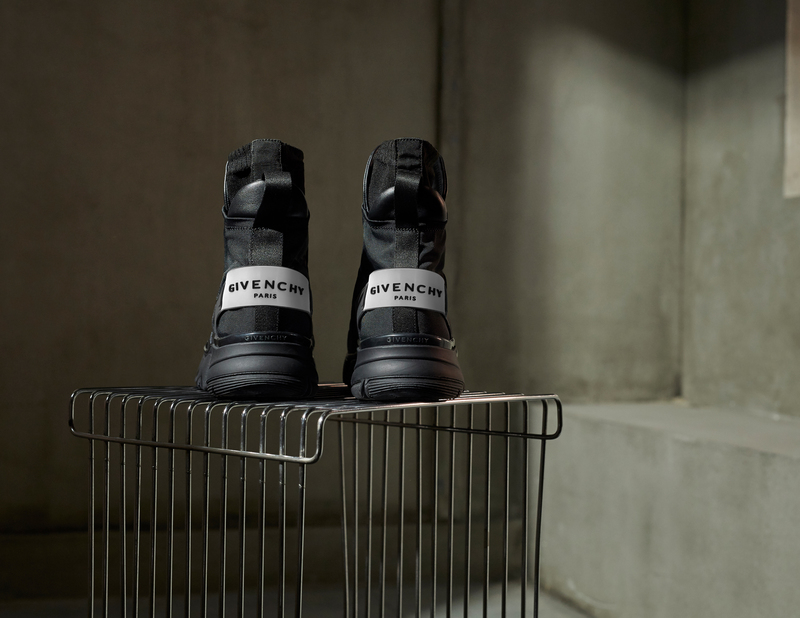 What gives the sneakers its name is the striking sole that resembles teeth, which first appeared in Givenchy’s Fall/Winter 18 show. Keeping it simple to fit into every urban explorer’s wardrobe, the JAW debuts as an all-white or all-black high-top in classic leather and nylon. Attention to detail is paid with a zip closure, which makes putting the shoe on and off even more practical. Next to the high-tops, classic sneaker styles in white, black or three-color iterations with blue or red will follow.